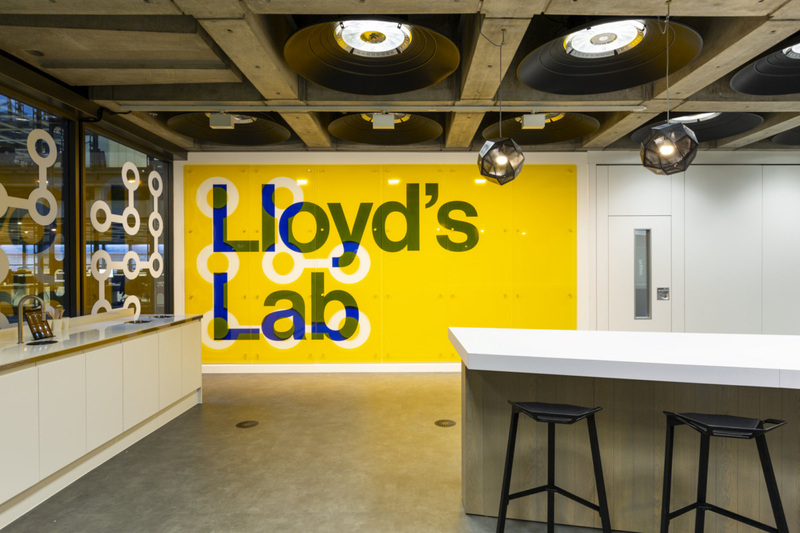 Applications for the second cohort at Lloyd’s Lab are now open! Ed Gaze and his fantastic team have an amazing facility, which I was fortunate enough to visit last year. What are they looking for this time around?! For the Lloyd’s market, profitable underwriting depends on continually improving the tools and techniques used to select and assess risks, manage risk portfolios and optimise the claims handling process. Data is the lifeblood of the underwriting process and, with an ever-increasing range of sources available, we want to make sure we’re looking beyond our core data sets to power smart decision-making in the market. We’d like to hear from start-ups who can find and help us tap into alternative data sets to paint a more accurate picture of risk and help the market underwrite more profitably. Ideas could range from finding new data sources that highlight high risk policies for more accurate underwriting, to predicting future claims based on search engine trends, or aggregating existing data sets in new ways to reveal hidden trends. We are also interested in how new algorithms, models, and statistical techniques can help us to create a more bespoke experience, gain a deeper understanding of risk, and address the protection gap. Rather than just seeking new insights from new data, we are also seeking new insights from existing data. Lloyd’s is famed for its promise to pay all valid claims and we want to build on this reputation by supporting our customers with new solutions that have their best interests at heart. For example, providing post-disaster advice or helping them understand and mitigate their risks before undertaking an activity. In a truly digital world, customers expect centralised, easy access to their policies and access to faster payments. We are also looking for solutions that help us offer this. Examples could include platforms to manage the administration of on-demand insurance or faster ways of modifying coverage mid-policy. Finally, we would like to support the critical risk management function within organisations from SMEs to large corporations. We want to see dashboards that interface with our customers systems and help them manage risk as cost effectively as possible, including risk transfer where appropriate. In this respect, we would be happy to hear from technology solution providers working in other industries to partner with them in the Lab. Lloyd’s, and the insurance industry as a whole, is working to reduce the cost of doing business. To help with this we want to hear ideas which promote operational efficiencies across a broad range of areas and solve problems faced by multiple managing agents. For example, data errors cause problems throughout the insurance lifecycle and can be expensive to resolve – how could we use automation or artificial intelligence help to either prevent or quickly rectify them? Or how might we reduce the burden of regulatory reporting, reserving, and payment processing? With fixed coverage periods and defined schedules of cover, traditional insurance products are static in nature. However, the risk needs of policyholders can be dynamic and, in an on-demand era, expectations are shifting. We are seeking ideas that help Lloyd’s lead the way with next-generation insurance products that meet the constantly evolving risk transfer needs of policyholders. These could include automating claims payments based on verified event triggers or developing tools to help insurers quantify exposure for new types of risk products including space weather, the impacts of urbanisation or reputational damage. We are also interested in products relevant to intangible assets such as IP and reputation, or the transition risks of de-carbonisation. Established products are well within scope too. We’d like to see solutions that enhance our understanding of how megatrends might impact and evolve traditional policies – from the effect of population growth on food security and agriculture to the implications of geopolitics on terrorism.